This is Hope Idiaghe, a Year 11 student who joined us last week for work experience. We’ll let Hope tell you herself how she found the experience. My name is Hope Idiaghe and I go to Manchester Creative and Media Academy in Blackley. 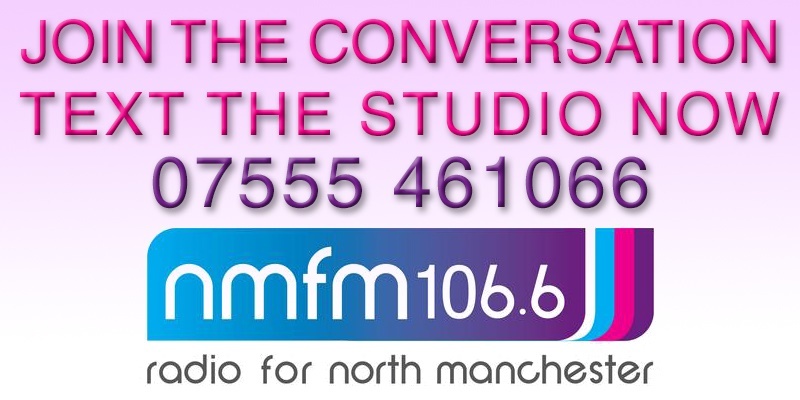 I was at North Manchester FM for work experience and I can’t thank NMFM enough for the amazing time I had while working there. On the first day I felt very nervous because I wasn’t sure of what I was going to do or what kind of people I was going to be around, but I met Lou, the station manager and she made me feel very welcomed. She showed me around the building and told me everything I needed to know about the radio station. What I enjoyed the most was sitting in on different shows and helping them out but also joining in the discussions. One of the highlights of the week was sitting on Kev and Ken’s show “Me and Me Dad” and being in control of the microphones, the mixing desk and the songs that were coming on next. All this on my first day, while being live on air! Another thing I was very glad about is when I was sat on the “Mid-Morning Magic Show” with Johnnie and Lisa and I had to read the Traffic and Weather out. To start with, I was very uncomfortable because I get very shy and nervous and trip over words but I pushed myself to do it and I said it live without any mistakes! This made me feel very proud of myself and when I had to do it a second time I did not even think twice. This is an experience that I will never forget as I helped out on lots of different shows with amazing people. I got to listen to lots of different amazing music types, learned loads of new things and boosted my confidence. Radio was never my choice as a later life career but at the moment I am thinking of maybe having my own show at NMFM which I think would be pretty much amazing. I could not thank enough Lou and everyone else who made this experience wonderful at North Manchester FM, thank you. We really enjoyed having Hope with us so we’re glad that she got so much from the experience. We certainly hope that she comes back soon to start her own radio show! Next week, we’re hosting another work experience placement and will be joined by a student from Abraham Moss High School in Crumpsall. 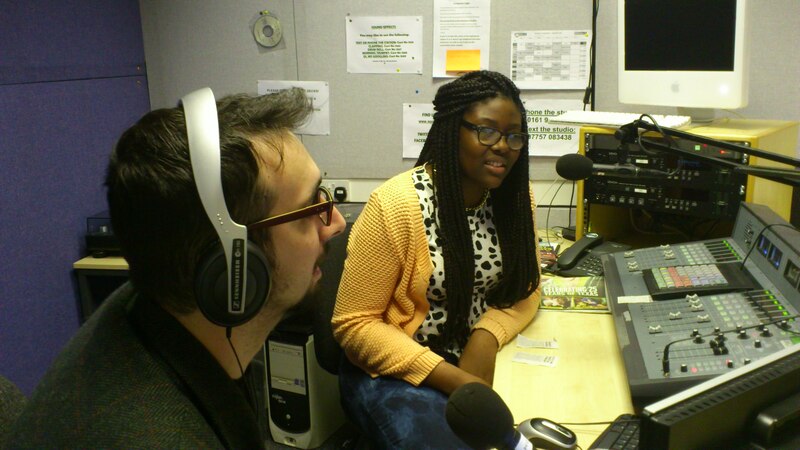 If you’re interested in gaining work experience with North Manchester FM, contact our Station Manager, Lou Armer. Please be aware that we prioritise people with a Manchester post code, partiularly those from North Manchester wards (click here to see the areas we proritise). 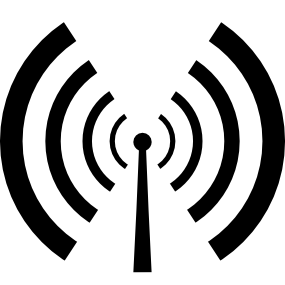 ← New shows for your ears!